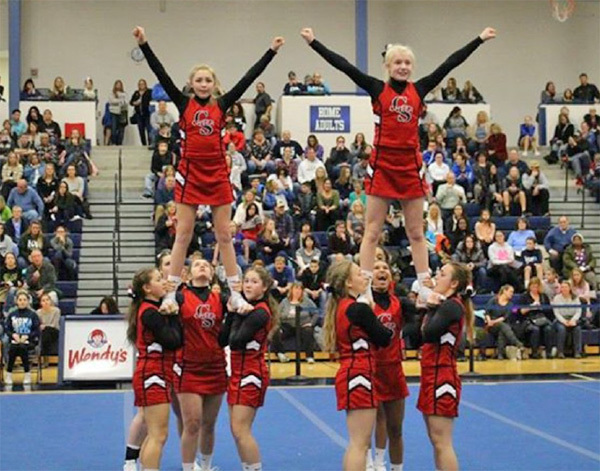 Tag Archive | "Mona Shores High School"
The Cedar Springs Varsity Competitive Cheer team is headed to regionals after their fourth place win at districts last weekend. 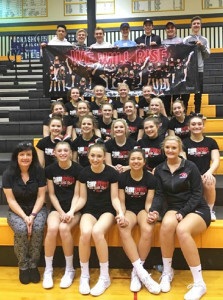 Cedar Springs Varsity competitive cheer team is headed to regionals and one step closer to their goal of making it to the State Finals! On Saturday, February 18, the team traveled to Kenowa Hills to compete in the District finals. With sickness hitting the team hard last week, these ladies had to give it all they had and prove their ability to come out on top, even with the odds stacked against them. Fifteen teams competed for the top four spots and a chance to move on to Regionals. In Round 1 they earned a score of 217.5, putting them in 6th place. Round 2 gained them an additional 219.46 points, a subtotal score of 436.96 and moving them up to third place. The completion of round 3 earned an additional 291.3, a total score of 728.26, and a fourth place finish securing their spot in regionals. Mona Shores took first place, followed by Kenowa Hills in second, and Reeths Puffer in third. Next stop for the Lady Red Hawks will be Saturday, February 25, at 10:00 am to compete in MHSAA Regional Finals at Mona Shores high school. 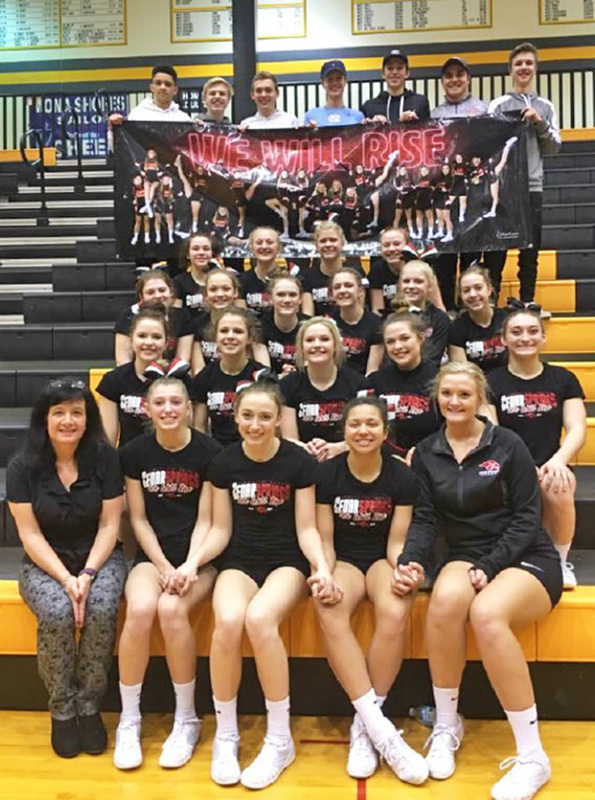 The top four placing teams at regionals will then move on to the State finals at the Delta Plex on Saturday, March 4.